Optimizing your website for search engines is no longer a question of filling it full of keywords and exact-match anchor text while madly blog-commenting in other people’s blogs to create relevant back-links. In fact, following this formula will almost certainly leave you down in the rankings under Google’s Panda and Penguin algorithmic changes – and more are coming. But you shouldn’t just pay attention to Google: SEO nowadays involves maintaining an active social media presence and profiles. Hence the term “Social SEO”. Social media actions can actually improve your Google rank, if done right. And you need to pay attention to what people see… and what’s behind the scenes. Google’s Penguin algorithm filter tends to take meta-keywords and other traditional tags as keyword-stuffing. It won’t help your site ranking – and it could hurt. If you use the Thesis theme, check out instructions at Binary Turf on removing the meta description tag correctly. According to SearchEngineWatch, Penguin isn’t actually an algorithm, but a “link quality filter” that “is designed to take out sites that use manipulative techniques to improve search visibility”. Bottom line: If you have too many repetitions in meta data, your site may be penalized. You need to do this because Google’s Penguin filter now targets and de-ranks exact-match domains (e.g. “highproteinfoodsfatlowcarb.com”), after Google clued on to the fact that names like these were evidence of attempts to manipulate. Anchor text has been affected too. The less spammy you can make your anchor text and Alt tags, the better. Again, if you’re trying to manipulate rather than describe when using keywords in anchor text, domain names or Alt tags, Google will penalize you. The old way of searching involved keywords. 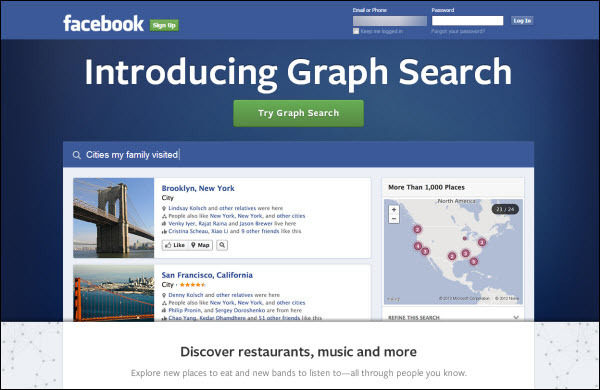 Facebook’s new Graph Search combines keywords plus your Friends’ Facebook content. This way, you can find out what connections you share with them, causes you both support, Pages you “Like”, places you’ve both been connected with, common interests and just about every type of connection you can think of. This is the one part of your Facebook Page where you can put your best keywords, descriptions and anchor text. Make the most of it, as artist Steph Dix has done here. 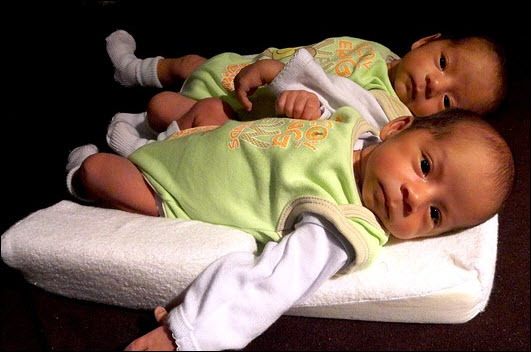 In addition, her text is not too long – it doesn’t run off the page, with vital sentences hidden. It’s clear and well-optimized. Once you click on artist, Steph Dix’s link, you are taken to her website http://www.stephdix.co.uk/… where those who have “Liked” her page immediately see a widget from the Facebook social plugins, containing their own Profile photo plus a selection of other fan photos. Anyone who clicks on hypertext within the widget will be taken to her Facebook Page – and that is a high-quality backlink, as far as Google is concerned. She is leveraging the power of Facebook very efficiently. SEO author Simon Penson predicted recently that Google+ will play a much more prominent role in validating social links over the coming months, so if you haven’t created a profile there yet, do so. And if you have signed up, but visit Google+ only sporadically or not at all, start exploring Google+ and spending time interacting and exploring its SEO-powerful platforms, apps and features daily. 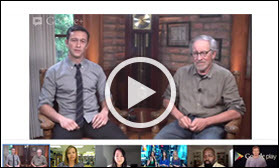 One of its most powerful features to explore: Google+ Hangouts. If you live-stream them, they will be automatically recorded and posted to your YouTube channel, which is now also automatically linked with Google+. If you haven’t yet bothered with Google Hangouts, learn more about them right now. Again, it’s all about not being carried away, trying to include keywords. Titles that don’t feel natural and don’t match the post they headline not only will displease Google, but will not get shared via social sites (as well as losing trust). Here’s an example of a simple but effective title followed by relevant content from Copyblogger. A truly interesting and intriguing title is your best route to making sure your posts and pages are found and shared. Make sure you’ve included social media plugins, widgets, share and follow badges, buttons and icons to help people share your content with one click. Place them above the fold on all your web pages in the upper right-hand side of your page. For extra effectiveness, include calls to action in or with your social media buttons, such as Daylan Pearce does in the right hand side of his blog, above. Last year saw Google over-zealously penalize exact-match domains and anchor text, akin to thousands of healthy trees in a forest being chopped down to make sure a dead one in their midst is culled. Now, just as their Search Evaluation team is reassuring us that they’ve learned from this and will be toning down the axe use, it looks as if Google has a new target: Guest blogging. 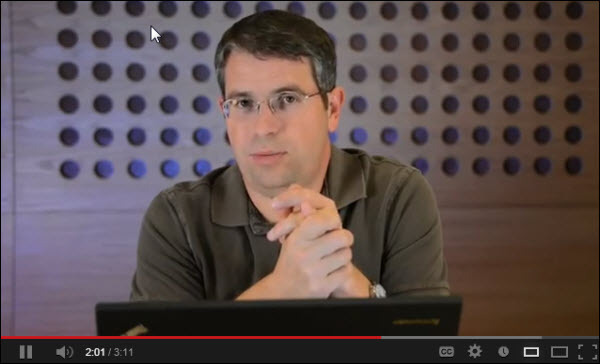 A recent YouTube video from Google’s Matt Cutts warns of what to expect – and what you can do to comply with new guest blogging rules. One last thing to do: Create a rel=author tag for yourself, allowing Google to validate your own blog (and use guest posters who are also validated this way). It’s not enough simply to use social media in 2013: You also need to make sure you optimize your social profiles to the max. Fill out all Profile sections across all social networks as fully as possible. Think of doing this as an investment. 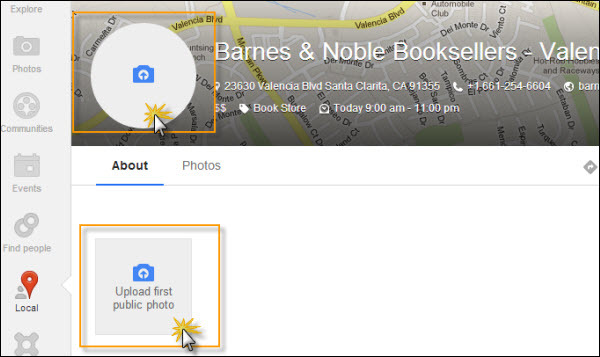 For example, if your local business appears in a Google Plus Local search for your city, make sure you claim it and add your photos, your logo, your description and your contact information, the way you want it. Make sure no sections are left blank. Social profiles with missing elements are not ranked as highly as those with complete profiles and validating elements such as business logos and clear descriptions. It is as important to optimize what people see as much as it is to optimize HTML and meta-tags, just as it is as important to optimize for your social networks as it is to optimize for Google searches. Creating a well-balanced, SEO optimized web presence for both the search engines and social sites – but most of all for the benefit of your ideal viewer – will have a visibility effect worth more than the sum of its parts. AD Publishing announces the release of an Amazon Kindle Book that provides entrepreneurs and small businesses with critical tools and solutions to make the “virtual office” a success. The book will be available on Amazon Kindle on April 16. AD Publishing LLC, a business consultancy based in California, announced the release of their book “The Virtual Office — Success Tools for Entrepreneurs and Small Businesses” on Amazon Kindle. For entrepreneurs and small businesses looking to take advantage of cloud technology, “The Virtual Office — Success Tools for Entrepreneurs and Small Businesses” offers solutions from start ups and Fortune 500 companies who have made use of these technologies. “The Virtual Office — Success Tools for Entrepreneurs and Small Businesses” offers strategies to maximize running a business using cloud technology. It is expected to rouse the interest of small business owners, start-ups, sole practitioners and even non-profits who want to leverage technology to bring down the fixed costs of running an enterprise. Many small and medium-sized businesses look to cloud technology as the most practical solution to running operations. They are built on a virtual office, without having to spend so much capital on infrastructure. The Amazon Kindle book provides a blueprint for upcoming as well as existing businesses that are considering this option. It may well be considered by many as the textbook on cloud technology and virtual offices. David Chan, together with co-authors Alex Tran and Bill Denyer, run AD Publishing from California with the help of a team of professionals spread across countries as far away as the Philippines, Panama, Canada and India. The Amazon Kindle book contains their experiences and shares their tips and tools as well as explains possible pitfalls in running a virtual office. AD Publishing’s successful venture into the virtual office is captured in an article published on Gigaom.com. “Not long after starting an online marketing and PR company with his partner, California-based David Chan realized that his growing business demanded more manpower and set about engaging a team of remote workers. Now, five years later, AD Publishing has experimented with workers in several Asian countries and across the U.S., hitting a few road bumps and refining their web work processes along the way,” read the article. “The Virtual Office—Success Tools for Entrepreneurs and Small Businesses” will be available on Amazon Kindle starting April 16, 2013. Visit http://adpublishing.org/virtualoffice for more information.